5.30pm to 10.30pm (Mondays to Saturdays). TUCKED away in a corner off the Asian Heritage Row, lies Trilogy Bar, Restaurant and Hotel, a lesser-known hideaway offering authentic Pakistani cuisine. With a sizeable menu of both traditional Pakistani dishes and Western favourites, the restaurant’s most noteworthy draw is its tantalising section of seared marinated meats, barbecued over hot charcoal flame. The wooden furnishings of Trilogy’s bar at the top of the stairs lends the place a cushy, laid back atmosphere, while the main attraction is in its framed view of the iconic twin towers. 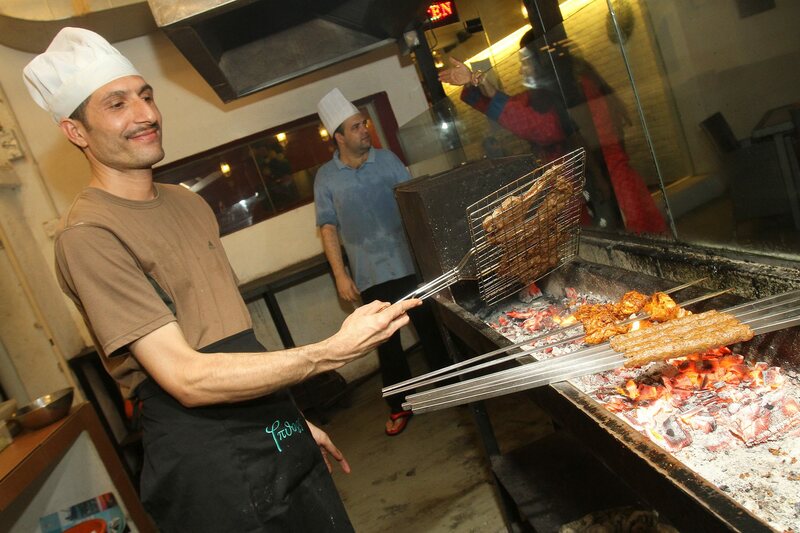 Originating from Afghanistan and Iran, the art of barbecuing travelled downwards to the colder regions of Pakistan, and then was perfectly adopted to become one of the country’s staple cultural cuisines. Pakistan-born restaurant owner Sunita Parwani said food was her passion and managed to convince her husband Puran Hariramani to start the restaurant and bar. To feature authentic dishes, they brought in cooks from Pakistan, specialising in curries and barbecue, to recreate Pakistani flavours in Malaysia. 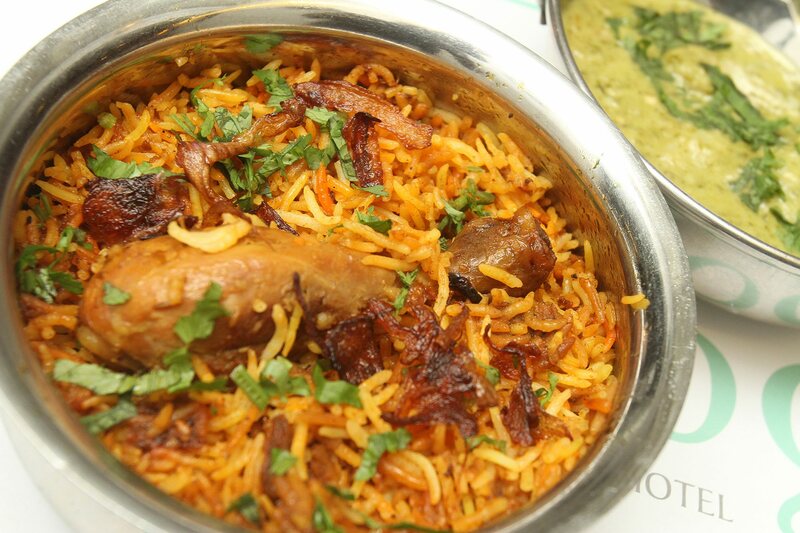 Trilogy’s Chicken Bihari offers a flavoursome touch of heat. 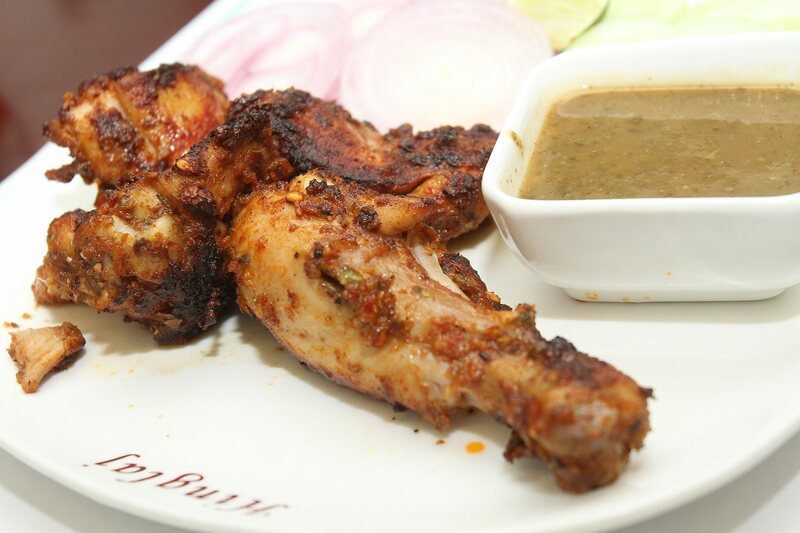 The succulent Chicken Bihari (RM15.90) as a grilled dish whets the appetite with its base of garam masala and ground dried chilli that permeates through to the bone, offering a flavoursome touch of heat. The Mutton Sheesh Kebab (RM27.90) and Lamb Shoulder Chops (RM34.90) also do not disappoint. As a dish, the shoulder chops are as simple as it gets, but this toothsome serving of New Zealand lamb marinated in black pepper, salt and a special oil is surprisingly tender. The secret is in barbecue chef Noor Jameel’s marination as he rubs the meats down with half ripened papaya to help the ingredients seep deep into the lamb. A home-made spicy and zingy tamarind sauce with a refreshing mixture of mint and herbs is the right combination with the barbecued items. Comparisons are often made between food from North India and Pakistan but Sunita explained that the Indians used the tandoor while Pakistanis preferred the charcoal grill to give their meats a smokey flavour. 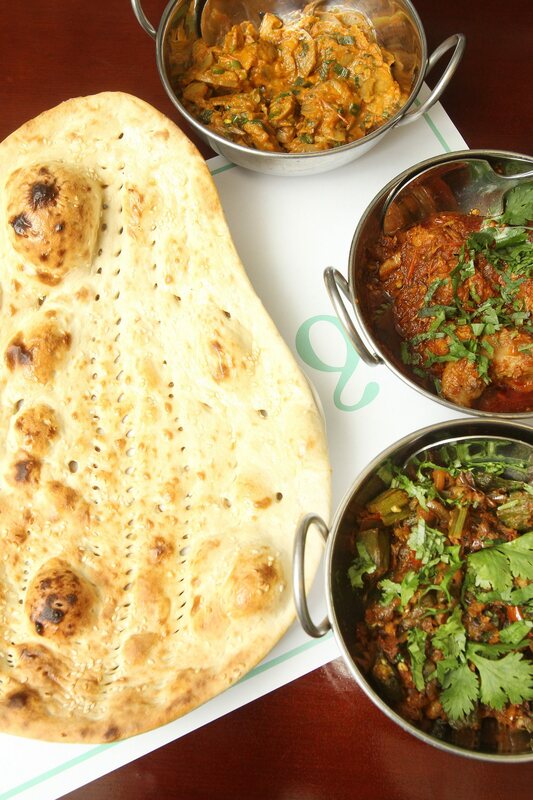 (Clockwise from top) Mushroom Do Pyaza , Kadahi Chicken and Bhindi Baingan Sabzi served with Khandari Naan freshly baked in a clay oven. “Pakistani cuisine is very much like North Indian food because most of the curries are also cream based but slightly sweetish in taste. “Our ingredients for marinating meats are also slightly different because you won’t see a lot of Pakistani food with food colouring in it but the natural colours such as yellow from turmeric,” Parwani said, adding that their products were freshly sourced from halal suppliers. The aroma of dozens of spices rising in the steam upon lifting the lid of a stainless steel dish that held the Chicken Biryani (RM15.90) (top pic) was simply inviting. Grilled over a bed of hot coal for a smokier depth to the meat, the barbecued dishes each have a unique flavour of its own from the mellow tender Lamb Shoulder Chops to the Chicken Bihari and Mutton Sheesh Kebab. The first bite reveals the sweetness of caramelised onions with tenderly cooked chicken that slides off the bone. An alternative to rice is the delightfully crispy, fragrant Khandari Naan (RM5.90) with a sprinkling of sesame seeds. Put together with a traditional Kadahi Chicken (RM17.90) – a spicy tomato-based chicken curry and Bhindi Baingan Sabzi (RM16.90) of okra and eggplants cooked in tomatoes offers a mishmash of taste and textures including sweetness from the eggplant that is hard to resist. A must for dessert is the creamy yet light home-made Kesar Kulfi (RM10.90), a decadent saffron-flavoured Indian ice cream topped with slivers of almond served in a simple rustic terracotta pot. Not too cloyingly sweet either is the Gajar Ka Halwa (RM10.90) made of freshly grated carrots boiled in milk until it has a slightly melting and pulpous texture. Housed in a refurbished pre-war building with wooden shutters intact, Trilogy’s interior includes a cosy, unassuming indoor and al fresco area with hints of Pakistan’s rich culture, as well as a warm and comfortable bar at the top of the stairs complete with a view of the iconic twin towers in the background. A little tip to diners, check-in to Trilogy on Fridays and Saturdays for 20% off on all a la carte dishes. And look out next month for the restaurant’s traditional Katakat, which Puran describes as a teppanyaki wide hotplate, to cook a variety of richly flavoured offal.